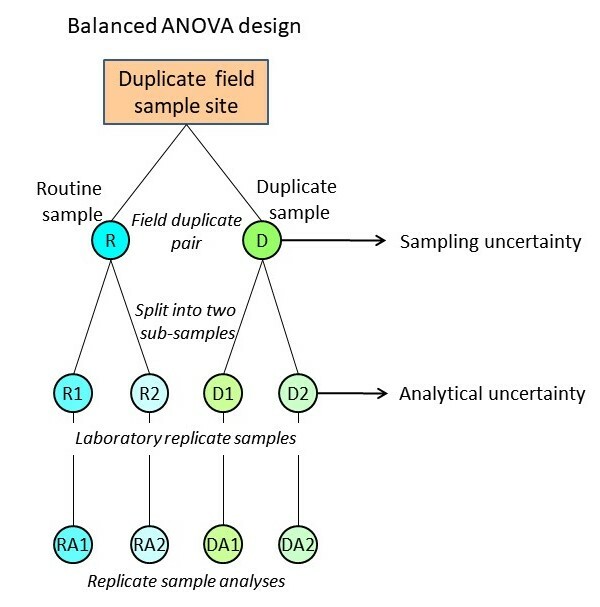 Duplicate field samples of each material must be taken from one geologically representative small catchment basin (either 1, 2, 3, 4 or 5) of the selected GTN grid cell in the case of the cost-effective 5 random point sampling design. SRMs to monitor analytical drift, and randomisation to convert any residual systematic drift to non-spatially related analytical variability. Miscellaneous recommendations relate to analytical data reporting (maximum of 4 significant figures, and adequate resolution close to the detection limit), data formats, units of measurement, geographical coordinates, data transfer, and the availability of a standard query (command) language.